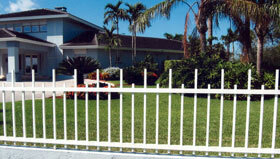 We manufacture & install Decorative ornamental aluminum fences that bring an extra touch of elegance and stately accent to your South Florida home or business, improving the appearance and increase the value of your property. 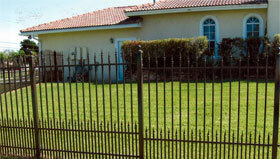 An aluminum fence is the perfect way to provide security and beauty to your back yard. A Deco Aluminum fence gives you a great look and the ultimate combination of strength, beauty, and durability and is always admired in the best of neighborhoods and with an aluminum fence you have freedom from maintenance. 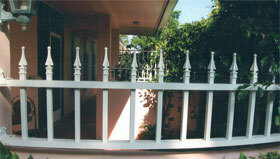 Whether it is for a swimming pool or a gate entrance decorative Aluminum is the perfect answer to your fence needs. 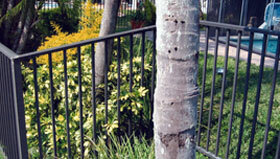 This type of fencing is typically created from tubular bars and comes in a wide variety of styles, from contemporary to traditional. 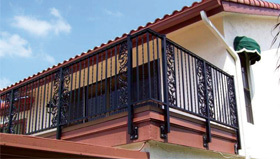 We also install it in a number of standard colors. 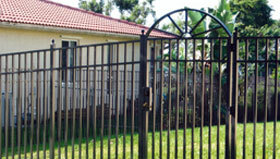 Call Gold Coast Shutters and Fence and speak to a fence Expert today! COPYRIGHT © 2012 - - Gold Coast Hurricane Shutters and Fence. ALL RIGHTS RESERVED.